By Kelly Minter. Kelly is an author, musician, Bible study creator and teacher passionate to see women impacted by Jesus and His Word. Learn more about her ministry. When I think about discipleship, I can’t think about it apart from the Word of God—as wildly obvious as this may sound. The reason I say this is that it’s increasingly natural to get together—whether in formal or informal settings—and say we’re doing discipleship when really we’re just hanging out. Don’t get me wrong, I do love a good hangout, but it’s not the same as discipleship. It’s one thing to get together and talk about kids and jobs and houses and friends and church and sort of talk around Scripture, but it’s another thing to implement the truths of Scripture into those relationships. It’s what Reuben Welch wrote in his book We Really Do Need Each Other about the difference between Christians getting together and getting together as Christians. Both are really wonderful, but only the latter constitutes a discipleship context—getting together as believers seeking to know God and his Word better. Discipleship will look different depending on the setting. You may be leading a person or a group of people through a book of the Bible, where you meet together and teach through a passage on a weekly basis. Or it may be a lot more casual, where you’re pouring God’s truth into someone’s life with whom you work, travel, or just live alongside. 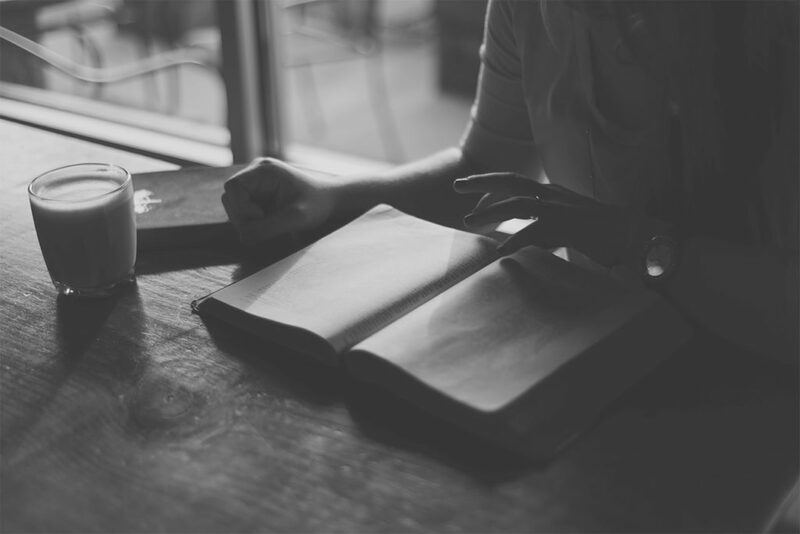 Regardless of what form discipleship takes in your current season of life, here are three reasons we can’t detach the Bible from discipleship. Knowing what the Bible says about us is vital to discipleship because if we don’t know who we are, we don’t know how to think objectively about ourselves. What I mean is this: The Bible reveals that our heart apart from Christ is deceitful (Jer 17:9); the lies of the world will pull at us with fervor (1 Jn 2:16); We’re prone to cover up our shame and live with secrets if we’re not careful (2 Cor 4:2). On a more encouraging note, it also tells us we don’t need to live in shame because we’re presented blameless before Christ (Col 1:22); We can be immediately cleansed from our sin and guilt when we receive his forgiveness (1 Jn 1:9); the love that God has for us is deeper, higher, wider, and longer than we can possibly grasp (Eph 3:18). So in our discipleship relationships, it’s essential that we teach these truths about the human heart. Otherwise, we’ll be facing life from a faulty framework. The only way we can know who we really are is by knowing what God says about us. And we can only discover these realities in the Bible. God’s Word has to be central to the discipleship process because it tells us how to live. Growing up, so many different mentors and mothers and youth pastors discipled me by teaching me the Bible. Through their leading, I learned things like how God lifts up the humble instead of the proud—even though pride comes so much more naturally to us. I learned that God delights in generosity and that it’s better to give than go through life tight-fisted. I was taught that telling the truth is always good, even if it harms us at times. I learned the detriments of gossip and how hopeful and refreshing it is to think on good, pure, and noble things. Even now, I take it for granted when someone hurts me that forgiveness is the best response—something I only know because someone taught that this extremely counter-intuitive reaction is actually what Jesus wants of me. These truths from the Bible, and hundreds more, have directed the course of my life and my relationships. So when I have the privilege to disciple those around me—again, in both formal and casual settings—I can’t help but draw from the wealth of God’s Word, because it speaks, from cover to cover, to our very existence and how we’re to live. It’s the Bible that tells us who Jesus is, why he came, and what he longs to accomplish in our hearts and lives. So in a discipleship setting we can’t afford to leave behind the very words that tell us about our Savior. We can’t know enough about him—the one in whom not only is our forgiveness found, but also the abundant life he came to give us. As I reflect on the discipleship I had as a child all the way into my late twenties, I’m ever grateful that I learned what the Bible has to say about who I am, as well as how I am to live. But I wish I had a greater emphasis on the person of Jesus. Sometimes discipleship can skew into studying the Bible solely so we can know how to do life best instead of how we can know Jesus better. While I’m so thankful God’s Word shows us how to do life, my prayer is that the more I’m discipled and the more I disciple others, the more we’ll all love and look like our Savior. For this is what discipleship is really all about.